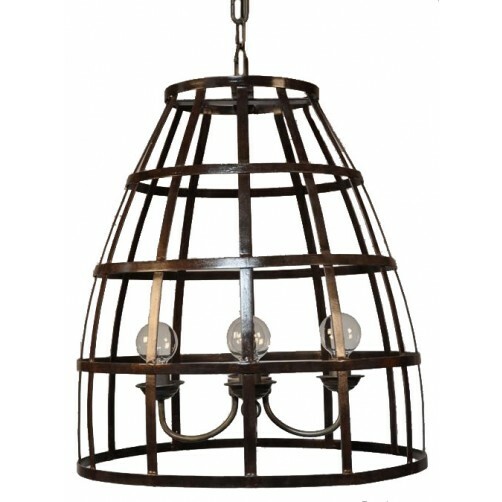 This pendant is modeled after a old time birdcage. 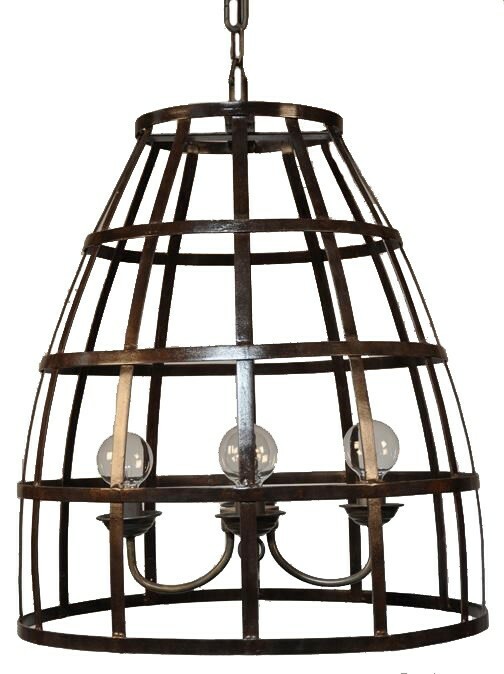 Constructed using metal with the 4 light bulbs in the center to give it plenty of light over a dining table. The criss cross strips of metal really bring a industrial look to any room.